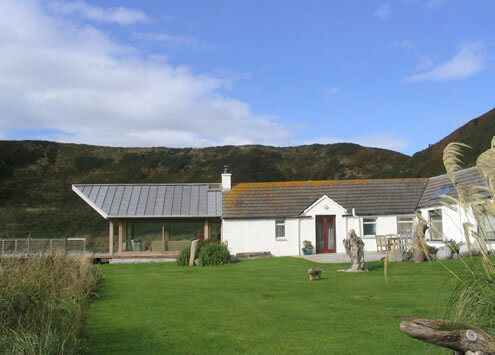 The site of the cottage is spectacular with the close proximity of the sea, nestling in a south west facing bay towards Ireland. The existing house is however nondescript and fails to fully enjoy its setting. 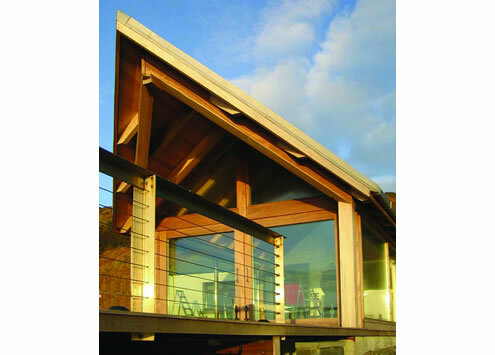 The proposal here is to provide a glazed space and deck which fully opens the interior of the house to the views and provides a dramatic focus to the existing structure sitting on the beach. 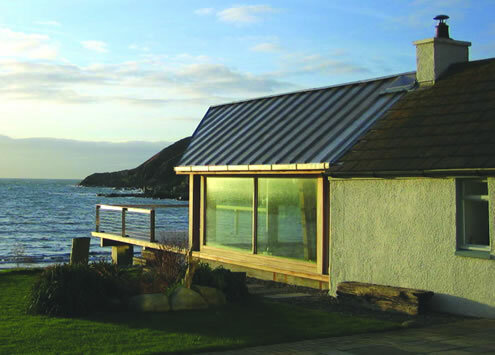 A stainless steel roof shelters a timber and glass enclosure with the timber floor further extruded as a deck out over the beach.